Product prices and availability are accurate as of 2019-04-17 01:11:50 EDT and are subject to change. Any price and availability information displayed on http://www.amazon.com/ at the time of purchase will apply to the purchase of this product. 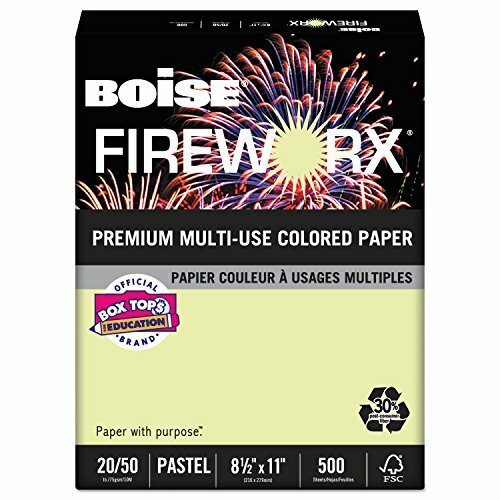 FIREWORX premium colored paper will help your documents stand out from the rest. Compatible with all printers and office equipment. Sold as 1 RM. A reliable performer in home and office machines. Compatible with all office equipment. Available in tear-away carton and clear poly ream wrap. Ideal for color coding, announcements, bulletins, invitations, signs, forms and manuals. This product was made from materials sourced from a certified managed forest.